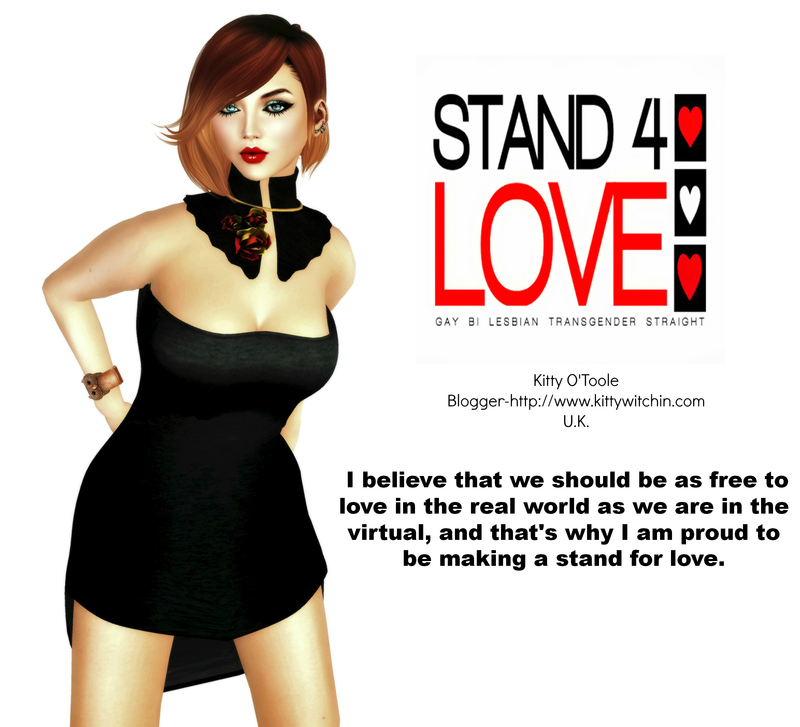 Imagine if you entered Second Life and came face-to-face (virtually speaking, of course!) with one of your RL heroines? Someone you have admired for a long time and adored their work..how would you feel? Excited? Stunned? Well, I was GOBSMACKED (as they say in these ‘ere parts) when I discovered an avatar by the name of Robin Sojourner in world. If you’re shaking your head and thinking ‘What on earth is she on about now?’ then let me illuminate you further by informing you that Robin Sojourner is actually Robin Wood. Penny dropped yet? Ever heard of a Tarot deck by the name of ‘The Robin Wood Tarot?’ Well, if you’re into tarot in any way, shape or form the name should be buzzing around your bonce like a bee that has stung it’s own arse. The deck is infamous, it’s a modern classic and I’ve been using the deck designed by Robin for many years now, ever since I first learned the Tarot. ( Note, you never fully learn the Tarot, it always teaches you something new..but that’s another topic for another time:) Anyway, the deck is a stunning collection of artwork, with beautiful imagery that evokes the Major and Minor Arcana perfectly for those of a Pagan persuasion. So, when I discovered Robin was in Second Life I literally wet my virtual knickers with glee, and zoomed over to her in-world location to investigate further. On to the store then, the appropriately named ‘The Broom Closet’, where you can buy altar tools such as Athames, cauldrons, brooms and candles. Robin’s creations are absolutely pitch perfect..so special in fact that I have just re-purchased all my items as they were lost recently during the sale of some land that I owned. ( I had a wonderful witch hut at the side of a volcano where I kept my altar, statues and other assorted goodies. Alas, all gone, including a very precious statue of Bast that I have *no* recollection of where it came from) I can honestly recommend pretty much everything in the store, but if you have to have one item, or in this case collection of items, then it has to be the Altar set at L$350. The set includes *everything* you need to establish your own Wiccan altar. There are pentacle cookies, candles, flowers a lovely centre-piece pentacle featuring the signature Robin Wood pentacle design, as well as a chalice, libation bowls, an Athame and incense. Now, I know this may seem a tad pricey, but we are talking quality here. If you want to re-create the Wiccan experience in the virtual playground, then you need items that will hold your interest. I guarantee that these will..they are beyond pretty, and have the effect of making you want to pick them up and use them:) Not only that but you get detailed instructions on the use of each item, as well as the significance each has as part of Wiccan ritual. So there you have it…my first Witchy recommendation and it’s an absolute must-see. There’s so much on offer here that I will be making repeat visits and featuring other items created by Robin..don’t even get me started on the extra-special Athames yet! is that a mod for sims 2? Oh My Word! Robin IS Robin?! I think this post just totally blew my mind. I have used Robin Wood Tarot for years, and the Robin Wood templates for years and never even saw the connection. I feel totally and utterly dumb and shocked to my core right now. Yes Tracy, Robin Sojourner in world IS Robin Wood. Blew my mind when I realised it too! The Robin Wood Tarot is my Tarot of choice, and always has been, so it’s pretty wild to think that the artist who has created such an astomishing work is active in our virtual world, and making wonderful stuffs there too! I discovered her inworld shortly after first-rez, looking for skins. Her “Yummy” skins, sadly no longer available, are my go-to’s for most of my avatars (I bought different tones for different avatars). You can see blemishes and veins in her skins. When I need to lower my ARC, her textured slider hair is the best. And lets not forget the great socks she made to wear with system pants that colored in the “flare” to match the pants and not show skin! Her tutorials on texturing are a must for anyone beginning content modification or creation. I completely agree. The Robin Wood Tarot has always been my go to deck, and I’ve long been a fan, and have many examples of her work on my bookshelves. Long may she continue!